It is a story you want to read… guides from Kiribati entering a fishing competition in Tasmania. 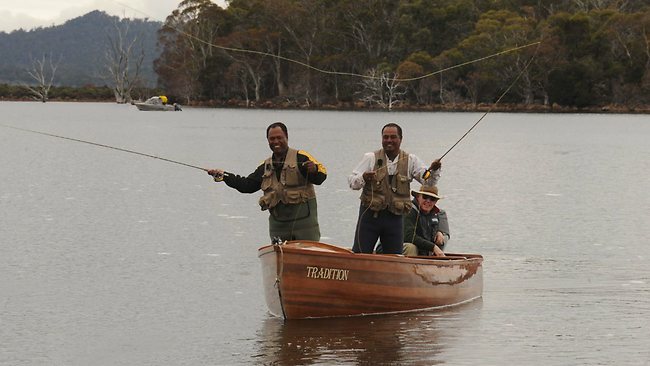 “It might be our first time catching this fish — there’s no trout and no rivers in Kiribati — but I’ve seen pictures before,” Bataeru says as he practises his casting from a small wooden boat on Tasmania’s Arthurs Lake. 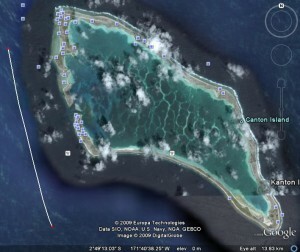 I was reading an old article on Reel-Time about bonefishing and saw something about a remote island in Kiribati (Christmas Island is in Kiribati). 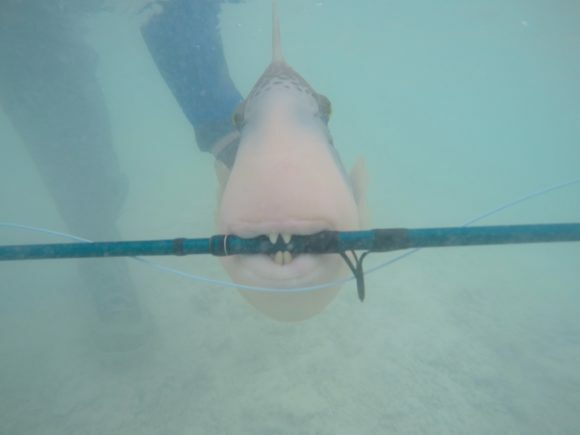 Note: Christmas Island is not the only bonefishing location in the South Pacific. 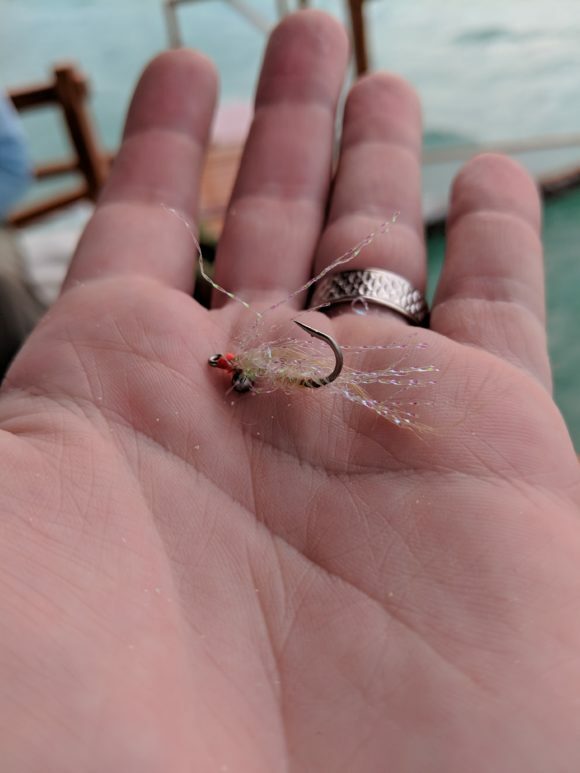 Kanton Island, located approximately 2,2 00 miles west from Christmas is in the process of opening a full-scale bonefishing operation as soon as the operator can arrange dependable flights onto the island. Looks like that dependable air service never quite made it there… this article was written in 1996 and today it does not appear that there is an active guide or lodge operation on Kanton Island, although I think I found the operation mentioned above… still waiting for investment. It might not be totally ready for full on development… with just 24 people living there including children that have sever calcium deficiencies. Things were looking pretty grim there in May when a Brit named Bond (not making that up) stopped by and found the population in a dire straight. Might not be a totally wonderful island paradise if the supply ship gets stranded and doesn’t make it there for a few months. The look of the island would suggest that it might have some of the same issues that Penrhyn does in terms of lack of tidal flush and high water temps, but that is only a slightly educated guess. I see one inlet that means no real tidal flush. Still… I’ll bet it’s pretty. My guess is that we’ll hear a lot more about places like this in 20 years when other favorite destinations have been degraded and depleted. All it takes is a reliable transportation link to open these places up… and then to beat them down under a few million flip-flops. I wonder how many other places like this there are in the South Pacific. 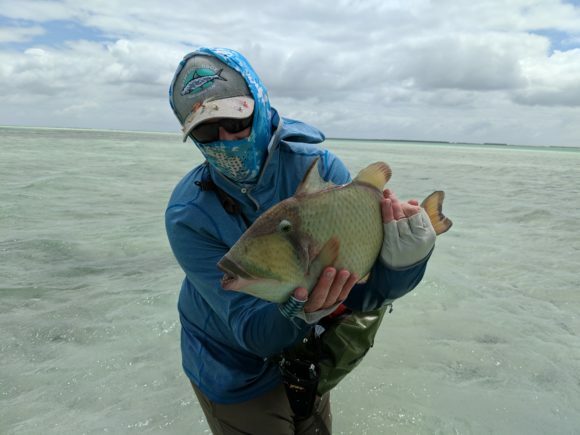 My guess is that there are more than a couple… some with bonefish, some with former bonefish populations (if you had to survive on fish for a couple months, you might pick bonefish since they come into the shallows). Kanton… I don’t think we’ll be hearing much from you for a while. 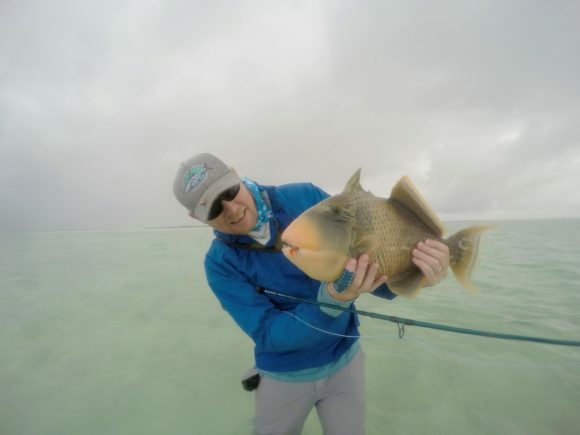 Saw this recent story from Tie N Fly Outfitters from Australia about a trip to Nonouti, part of Kiribati. 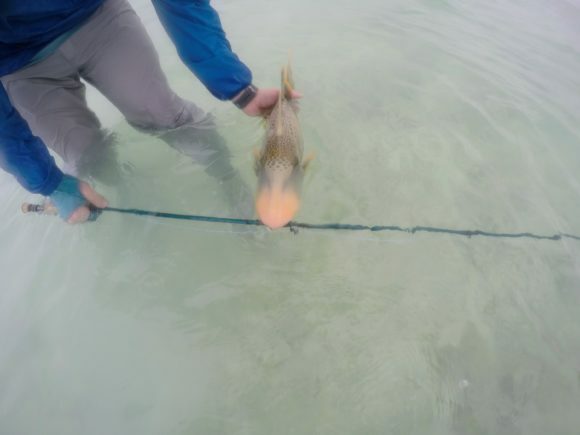 For those worried about Kiribati drowning due to global warming, don’t worry… it’s growing. The trip appears not to have sucked.